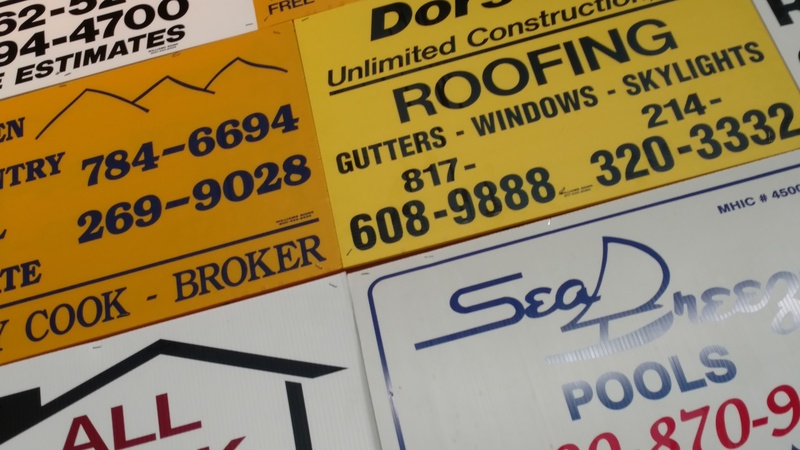 Quality built coroplast signs are the most requested yard signs in the nation. Durable, cost efficient and customizable, these signs will be a great asset for any type of advertisement. Screen-printed or digitally printed vinyl both make a vibrant statement no matter the occasion. We use high quality materials and UV inks. Long lasting and durable, these are perfect for storage and reuse. Sign standard sizes begin at 18"x24" and 24"x24", special requests can be prepared for delivery as well. Needing some artistic inspiration? Designers in house can get you started with any project.